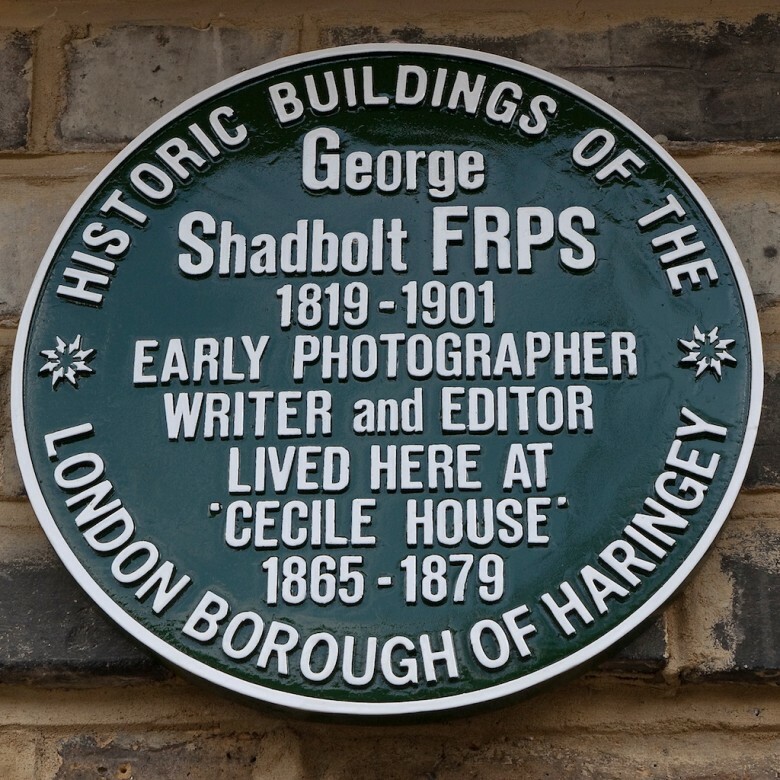 What better way to start than by saluting another photographer from another age, George Shadbolt, who lived here? His house in Crouch Hill is now a school and since anyone now photographing a school could well be arrested here instead is the plaque attached to the front of the house in February 2010. As well as being one of the first people to take a photograph through a microscope and a founder of the Royal Photographic Society George Shadbolt also edited what later became the British Journal of Photography - more than a hundred years later it is still here.